“The Invested Life” book on discipleship now available on audio. The Invested Life: Making Disciples of All Nations One Person At A Time — the book I wrote with my spiritual mentor, Dr. T.E. Koshy — is now available as an audio book from Brilliance Audio. It was a joy to read the book for the audio version, along with my wife, Lynn. 1) Who is investing in you? 2) In whom are you investing? In the Great Commission found in Matthew 28:18-20, our Lord Jesus Christ commanded us to go and “make disciples of all nations,” beginning with our own. Sadly, the American Church is experiencing an epic failure of discipleship. Most older believers are not spiritually investing in the lives of younger believers. We are failing to model and transmit Biblical truth and Christ-like character and a passion for evangelism and discipleship to the next generations. Thus the American Church is weak and failing and in desperate need of revival. Thus our nation is increasingly at risk not simply of decline but outright collapse, as I write about in Implosion. In many ways, The Invested Life is a corollary or a companion to Implosion. Put it another way, Implosion describes the sickness. The Invested Life describes the cure. I’m very grateful to Brilliance for producing and distributing the audio version, and I hope you’ll find it helpful — listening to it when your driving in your car, while working out, with your family, with a group of friends, or by yourself. May Christ bless you as you listen and embark on an invested life of your own, making disciples from different countries one person at a time! 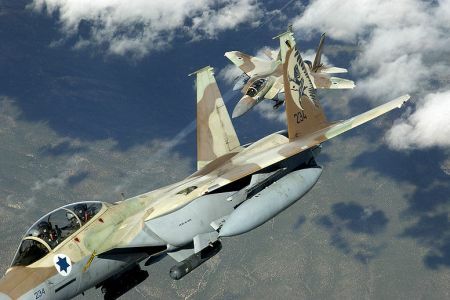 Close confidante of Netanyahu warns “it’s now or never” for military strike on Iran: Analysis. Tzachi Hanegbi (right) has been a long-time friend and confidante of Netanyahu. Tzachi Hanegbi — a close, trusted, long-time personal friend and confidante of Israeli Prime Minister Benjamin Netanyahu — made remarks on Tuesday at a security conference in Tel Aviv that did not make news in the U.S. But they should have. Hanegbi explained that the time for sanctions and diplomacy and covert options to neutralize the Iranian nuclear threat is over, and the time for Israel to use its military option has come. Hanegbi formerly served as the Minister of Intelligence and as Justice Minister in previous governments. He is currently a Member of Knesset (Likud). “Israel has to act according to its own imperatives,” he said. Given how close Hanegbi and Netanyahu are — and given how sensitive the current moment is — it is difficult to believe Hanegbi spoke without knowing the Prime Minister’s mind, and without having his blessing to make such ominous remarks. I, for one, am praying for peace. I don’t want to see another war in the Middle East. I’m asking the Lord to bring down the regime in Tehran, and sabotage their nuclear weapons projects, and keep Tehran from going to far. But even as I pray for peace, I know Israel is preparing for war. Netanyahu and his inner circle are watching how Iran has been accelerating its building of uranium centrifuges, expanding its nuclear facilities, and possibly building secret new facilities. President Obama is doing nothing after the Assad regime in Syria crossed the Obama “red line” by using chemical weapons against the rebels, killing and wounding many. Are they concluding the White House is serious about dealing with Iran if and when Tehran crosses the “red line”? Hardly. Netanyahu and his inner circle are watching how President Obama is doing nothing to stop North Korea from building — and testing — nuclear warheads and the ballistic missiles to deliver them. Are they concluding the White House is serious about preventing nuclear proliferation? Again, hardly. Netanyahu are his inner circle are watching how President Obama has pulled U.S. military assets out of the Persian Gulf region, claiming budget cutbacks. All this suggests the Netanyahu team believes it is all alone to deal with the Iran problem. Now, let me be clear: I don’t know if war will happen or not. I hope not. I pray not. But I want to be honest and keep you up-to-date on the latest developments. The Joshua Fund and I are going forward full steam ahead with our plans for our “Prayer & Vision Tour” in Israel this summer (June 25 to July 7) and the 2013 Epicenter Conference on July 5th in Jerusalem. We have nearly 200 people signed up for the trip — mostly evangelical Christians — are we are grateful for their trust and eager to take them into the Holy Land to pray, study God’s Word, meet Israelis and Palestinians, learn about TJF’s humanitarian relief work, and even participate in humanitarian relief projects. If we need to cancel the trip because war breaks out or is clearly imminent, we will do so — and our guests will receive 100% of their money back. But we won’t be swayed by rumors of war, and we’re impressed with this group that’s signed up because they don’t seemed to be swayed by the rumors either. They know we won’t knowingly take them into harm’s way. But they also know that this is the right time for Christians to stand with Israel and show our love and support by going there and praying for the peace of Jerusalem, as we are commanded in Psalm 122:6. There’s still some room on the trip if you’d like to join us. Click here for more details. In the meantime, let’s keep praying for peace from wherever we are on the globe. Let’s keep a close eye on the developments in the region. And let’s keep preparing for war, should it break out [see video of how The Joshua Fund is making war preparations]. I’ll be in speaking and ministering in Europe for the next two weeks. While I’m there, I’ll do my best to post blogs and Tweet on a regular basis, as possible. Thanks, and God bless. To learn more about Damascus Countdown, please click here. U.S. says Syria used chemical weapons: Countdown to military action against Damascus? The U.S. government has just confirmed what the nations of Britain, France and Israel have already said publicly for several days: the Syrian government has used chemical weapons against the rebels. Now there are calls in Washington by members of both parties to intervene in Syria with military force — not boots on the ground but possibly a “no-fly zone” over Syria and arming the rebels to overthrow the regime of Syrian dictator Bashar al-Assad. We need to pray for the people of Syria at this critical moment. They have been cruelly treated, and are suffering enormously. And it could get worse. 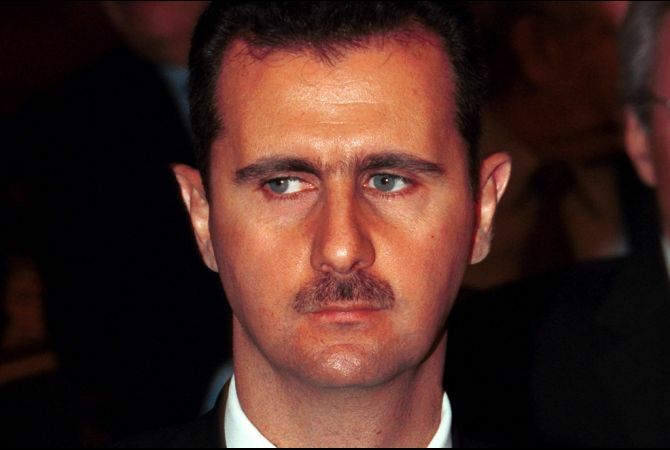 Syrian President Bashar al-Assad is desperate. If the world does not take action to stop him, he could decide to attack the rebels with WMD on a much broader scale. It could lead to genocide. But as noted, if the world does take action to stop him, the situation could go from bad to worse. What’s more, we need to remember that as evil continues to rob, kill and destroy the people of Syria, a day of reckoning is coming. As I’ve noted in the past — and explore in my new novel, Damascus Countdown — there are ancient Bible prophecies that indicate that one day in the future, the city of Damascus will come under divine judgment for all the evil it has done and be utterly destroyed by fire. Could that day be closer than most people think? “U.S. intelligence has concluded ‘with some degree of varying confidence,’ that the Syrian government has used sarin gas as a weapon in its 2-year-old civil war, Defense Secretary Chuck Hagel said Thursday,” the Associated Press reported. CNN reports that Members of Congress — both Democrats and Republicans — are calling for the Obama administration to take action against the regime in Damascus. What are the pros and cons of intervention in Syria for Obama administration? Now the question is how Hezbollah react? With restraint, I pray. “Israel shot down a drone Thursday as it approached the country’s northern coast,” reports the Associated Press, citing military sources. “We will continue to do everything necessary in order to protect the security of the citizens of Israel,” Netanyahu said. U.S.-Israel sign new arms deal, but Obama team refuses to sell bunker buster bombs. What message does that send to Iran? 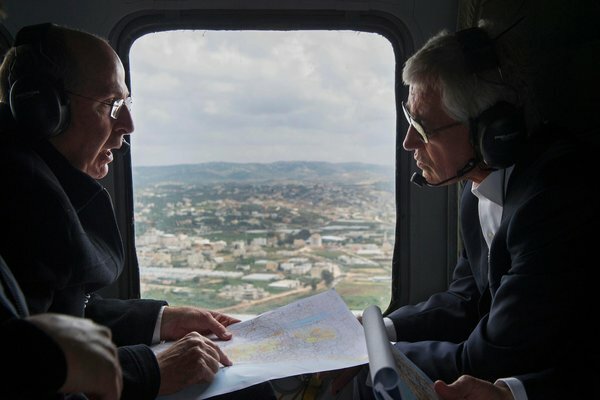 U.S. Defense Secretary Chuck Hagel is on a tour of Mideast allies this week. His first stop was Israel. Then he heads to Egypt, Jordan, Saudi Arabia and the United Arab Emirates. 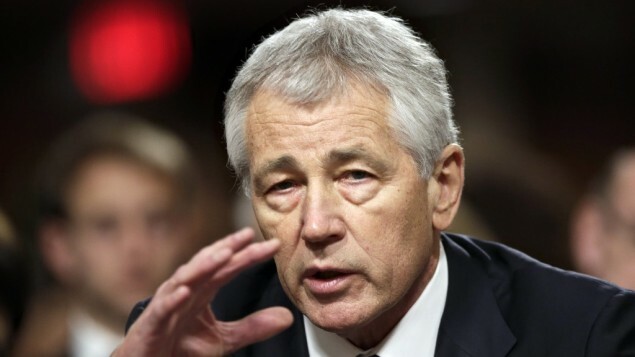 En route, Hagel announced a $10 billion arms deal — selling advanced weapons systems both to Israel and several Arab countries — apparently to send a message to Iran that the U.S. will protect its friends against Tehran’s dangerous nuclear program. Yet it was a mixed message, at best. Yes, it’s good the U.S. is helping arm our allies against Iran. But why is the Obama administration refusing to sell Israel the “bunker buster bombs” it needs to truly and decisively neutralize the Iranian nuclear threat? Such a decision tells Tehran that Washington is really not that serious about preventing them from getting The Bomb. “American and Israeli defense officials welcomed a new arms sale agreement on Monday as a major step toward increasing Israel’s military strength, but Israeli officials said it still left them without the weapons they would need if they decided to attack Iran’s deepest and best-protected nuclear sites,” reported the New York Times. 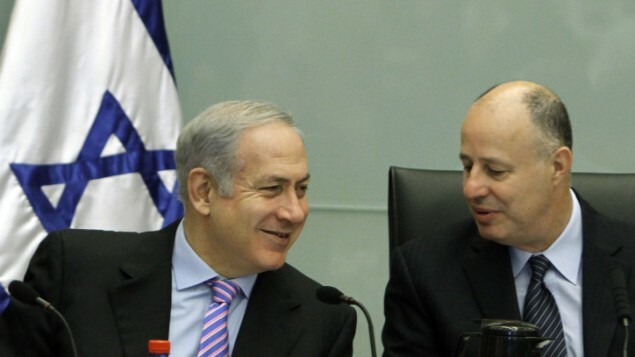 Mr. Yaalon suggested that there was still time, the Times reported. “There are other tools to be used and to be exhausted, whether it is diplomacy, economic sanctions,” Yaalon said. The new weapons sale package includes aircraft for midair refueling and missiles that can cripple an adversary’s air defense system. Both would be critical for Israel if it were to decide on a unilateral attack on Iran. But what the Israelis wanted most was a weapons system that is missing from the package: a giant bunker-busting bomb designed to penetrate earth and reinforced concrete to destroy deeply buried sites. According to both American and Israeli analysts, it is the only weapon that would have a chance of destroying the Iranian nuclear fuel enrichment center at Fordo, which is buried more than 200 feet under a mountain outside the holy city of Qum. The weapon, called a Massive Ordnance Penetrator, weighs about 30,000 pounds — so much that Israel does not have any aircraft capable of carrying it. To do so, Israel would need a B-2 bomber, the stealth aircraft that the United States flew nonstop recently from Missouri to the Korean Peninsula to underscore to North Korea that it could reach its nuclear sites. Is Iran working with al-Qaeda to plot terrorist attacks on innocent civilians in Canada and the United States? 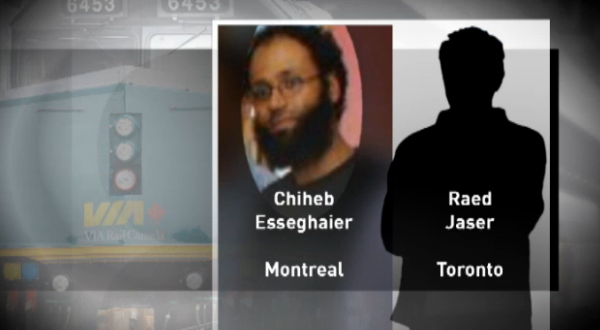 Canadian authorities say yes and they moved this week to arrest two men planning to blow up a passenger train in or near Toronto. While there isn’t evidence that al Qaeda and the Iranian government have ever cooperated on a terrorist attack, al Qaeda’s ties to Iran, surprising perhaps to some, stretch back more than a decade. As recently as October, the U.S. Treasury named as terrorists six al Qaeda members living in Iran who it alleged were sending fighters and money to Syria to fight Bashar al-Assad’s regime and were also funding terrorism in Pakistan. Al Qaeda’s Iranian presence began after the fall of the Taliban in Afghanistan during the winter of 2001 when some of Osama bin Laden’s family and his top lieutenants fled to neighboring Iran, where they lived under some form of house arrest. They included Saif al-Adel, the Egyptian military commander of al Qaeda; Sulaiman Abu Ghaith, bin Laden’s son-in-law and spokesman; and Saad bin Laden, one of the al Qaeda leader’s older sons who has played a leadership role in his father’s organization. Saad helped bin Laden’s oldest wife, Khairiah bin Laden, and a number of his father’s children to move to Iran in 2002. Bin Laden’s sons Ladin, Uthman and Muhammad and his daughter Fatima, who is married to Sulaiman Abu Ghaith, settled in Tehran, the Iranian capital. To learn more about Damascus Countdown, a 2013 political thriller about an Israeli first strike on Iran and the retaliation of Iran and Syria, please click here. To learn more about Dead Heat, a 2008 political thriller about a North Korean preemptive nuclear strike against four American cities, please click here. My wife and three of our four sons and I just got back from a week of vacation out of the country — no email, no Twitter, no Facebook, no blogging, nothing but time playing in the sun as a family. News eventually reached us at sea about the terror attacks in Boston (see video) that killed three and injured 176 others, but we are just learning about the extraordinary week we missed. 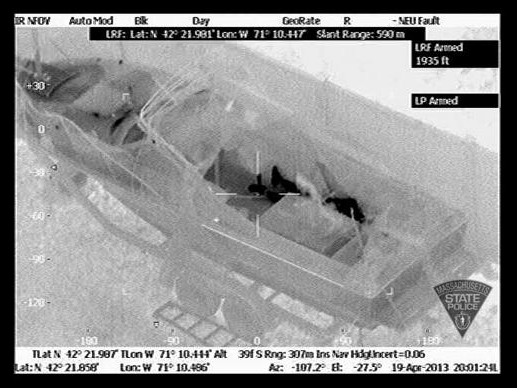 Who Is Dzhokhar Tsarnaev, the Man at the Center of the Boston Manhunt? Those words may have helped crack the mystery of who perpetrated one of the highest-profile acts of terror in the U.S. since the 2001 assault on New York City and the Washington area, one that killed three people and wounded scores. The Boston area was on lockdown this morning after law enforcement officials killed one suspect in the bombing and were hunting another, following a night of violent clashes between the two men and authorities that killed a Massachusetts Institute of Technology campus police officer. Is war with Iran unavoidable? 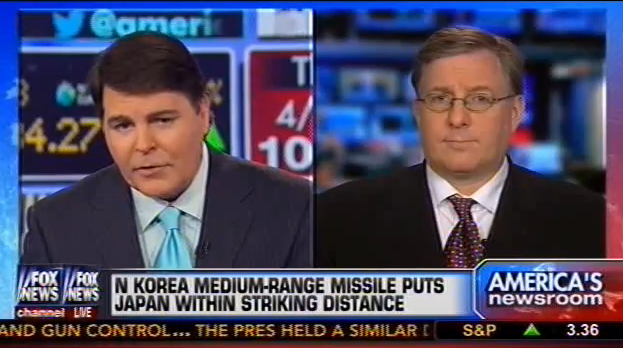 Video of my Fox News interview on what lessons Israeli leaders are drawing from North Korean nuclear crisis. Here’s the link to the video — it runs just under 4 minutes. U.S. intel says Assad’s days are numbered. ‘We just don’t know the number.’ But Syria rebels pledge loyalty to al Qaeda. The countdown is underway to the fall of the Damascus and the Assad regime. The problem is that most of the rebels are radical Islamic jihadists who could proven even worse than the murderous Assad. Now comes news that the rebels fighting against Assad have pledged their loyalty to al Qaeda.